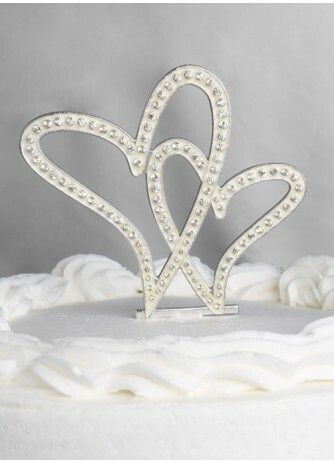 This classy, modern Crystal Hearts Cake Topper will be the perfect addition to your wedding cake! 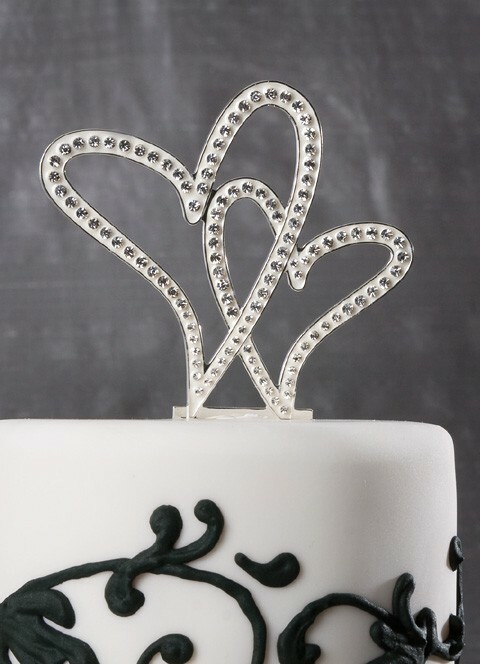 Silver coloured metal double hearts are filled with a white glaze and set with sparkly rhinestones. Metal with epoxy and rhinestones.